The life a of television reporter and anchor can be nomadic. Many memorable men and women worked at our local television stations in the Southern Illinois, Southeast Missouri, Western Kentucky television market throughout the years. I salute some that I remember from years past. Mandy Murphey anchored the weekend newscast at WPSD TV during the late 1980's. She married the sports anchor, Paul Brown(The couple have two daughters) and moved on to the St. Louis market where she currently anchors the news at KTVI Fox 2 News. While there Ms. Murphey has won many awards including several Emmy Awards. 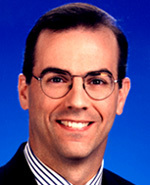 Marc Moraniec, a graduate of Oakland University in Michigan, served as a reporter and anchor/weatherman at WSIL TV 3 from 1993-1996. He left WSIL to anchor the morning news at WHOI in Peoria. From there he moved on to the Augusta, Georgia market where he was the co-host and weatherman of the morning news and did the midday weather at WRDW TV. 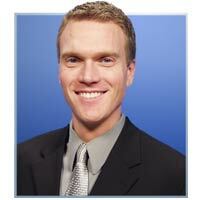 Moraniec now has landed in Billings, Montana as a weatherman/anchor at KTVQ TV. Nick Miller served as a weatherman at KFVS TV 12 in the early 1980's. Mr. Miller is currently the anchorman at KTSM Newschannel 9 in El Paso, Texas. Mr. Miller is a strict vegetarian that also teaches Cultural Geography at the University of Texas. 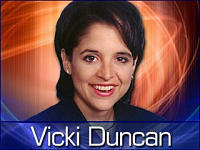 Vicki Dortch co-anchored the news at WPSD during the early 1980's. The Paducah native now anchors the 5 PM and 11 PM newscasts at WLKY Newschannel 32 in Louisville, KY.
Jeffrey Prier served as the weekend weather anchor on WPSD TV during the late 1980's. He also did field reports on the station. Mr. Prier has been a busy man since then. He's worked television stations all over the country, including helping launch a 24 hour regional network in Seattle, WA where he was a weather anchor. He also taught radio-television courses at Florida State University. Mr. Prier last television position was as a weatherman at WTKR 3 in Norfolk, VA. He has now joined the faculty at the Scripps Howard School of Journalism and Communications in Hampton, Va.
Andy Alcock was a reporter at WSIL TV. He is now the City Hall reporter at WLKY Newschannel 32, in Louisville, Kentucky. 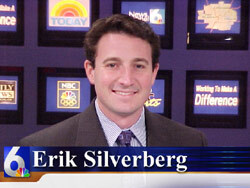 Seth Kaplan left WPSD to return to his roots in Greenville, South Carolina. He joinedthe sportsteam at WHNS FOX Carolina in Greenville but has since left. Mr Okel now concentrates on speaking engagements where he talks about his experiences in the television business. You can visit Ken's website, kenokel.com, by clicking on his picture. Mark Miller, the weekend sports anchor for many years at WPSD left to do sports for FOX 27 and KOLR 10 in Springfield, Missouri. Miller is now the head news anchor at that station. (incidently, this is the same station that former WPSD news anchor, Polly Van Doren(Orr) is the news director). Mark and his wife have one son. Charlie Neese, memorable weather anchor for KFVS is now back in the area which he grew up. He is the weatherman at Newschannel 5 in Nashville Tenessee. He and his wife Eve have one son, Gentry and now a daughter! 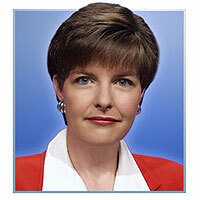 Bonnie Schrock was a very popular member of the WPSD newsteam during the late 1980's through the 1990's. She co-anchored the evening newscast as well as serving as medical reporter. She left WPSD to take a position at Western Baptist Hospital in Paducah and serves as Vice President of Marketing. She's not completely gone from WPSD's airwaves. She appears in commercials for the hospital as well as doing the Health Break segments which air on Channel 6 news reports. One of my all time favorite anchors! Hal Klingenberg had a brief but memorable stint as the weekend weatherman on WPSD in the late 80's or early 90's(not completely sure of the time frame). Mr. Klingenberg now serves as a forecaster for the National Weather Service in Jackson, Ky.
Vicki Duncan anchored and reported for WSIL in the 1990's. She left WSIL to become the North Bureau reporter for WRTV in Indianapolis, Indiana, but has left that station. Vicki is now married and goes by Vicki Gardner and is currently the Communications director for Indiana Lt. Governor Becky Skillman. SPECIAL NOTE: I am no way affiliated with the television stations(WPSD,KFVS,WSIL) but am a life-long resident of the Southern Illinois area. The images used on this page come from various sources. Click on links below to visit the OFFICIAL pages of the local stations mentioned here. Rod Sievers, former anchorman for WSIL TV 3 is now Associate Director of Media and Communications Recources at SIU in Carbondale. Now a popular weatherman at New York City's WABC TV. His first job was at WPSD. He has now joined the on air team at Good Morning America on ABC where he is the weatherman. Former WPSD reporter/anchor Amy Hasten now goes by Amy Brooke and was the weather anchor for 12 News Today at KPNX in Phoenix, AZ. Amy has since left that station. 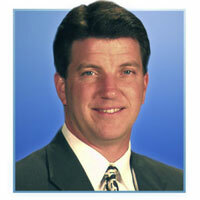 Dave was on WPSD first as the weekend sports anchor in 1991, then became sports director in 1994 after Larry McIntosh retired. He was at WPSD for a total of 10 years when he left for a position at Murray State University(his Alma Mater) as a marketing and sales assistant for the Racer Foundation. Dave now is the Assistant AD for Media Relations there. Mr. Winder has also recieved a higher calling, and is a fill-in Pastor for various churches in Calloway County, KY. He is also helping to expand the Children's ministry at his home church, Hardin Baptist. Mr. Brown covered sports for many years in the Southern Illinois area first on WSIL tv and later on WPSD, where he anchored the sports along with Larry McIntosh. He married WPSD's weekend anchor Mandy Murphey and they moved to St. Louis where he worked at KDNL tv 30 until their news department closed shop. Mr. Brown was last heard on the radio on 550 KTRS in St. Louis in the mornings, but has since left the station. Mr. Brown has been producing and hosting shows for MS2 Productions in St. Louis, who produces shows primarily for Speedchannel...he also served as the Communications Director for Colonel Jack Jackson former Candidate for Missouri State Auditor. 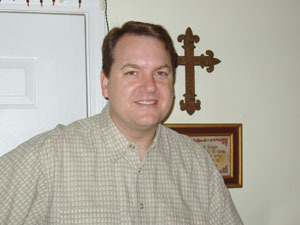 Reid Howell, former weekend weatherman and nature show host on WSIL now works on the radio at KYMO in East Prairie, Mo. Dianne Anderson, a popular anchorwoman on WPSD and KFVS now works at KOAT TV in New Mexico where she is a popular anchorwoman. Dianne Has since left that station to do talk radio in Albuquerque, New Mexico. Sara Welch was a reporter/anchor at WSIL in the mid-nineties. She is now at WTNH Newschannel 8, in New Haven, Connecticut where she again holds the position of Anchor/reporter. 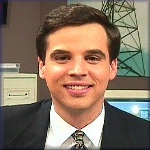 Dan Reynolds was an anchor at WSIL and did weather at WPSD in the early 1980's. For info on the following people, click on their pictures to take you to my webpage NewsChannel 6 Early Risers Club. 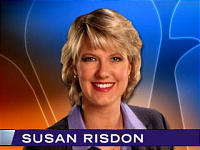 Susan Risdon's First job in television was at WPSD in the early 1990's. Susan is now a reporter at KXAS NBC 5, in Dallas/Ft. Worth Texas where she's been since 2000. Walt Buteau, former reporter at WSIL, is now at WPRI 12, in Providence, RI. He is the station's 5 O'Clock anchor as well as a reporter. 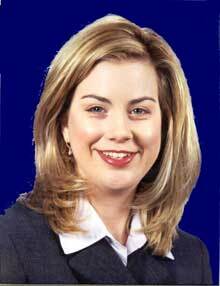 Kelli Burkeen, who grew up in Murray, Ky started her tv career at WPSD back in the early 1990's. She moved on to stations in Nashville(WSMV TV), WAVE in Louisville, Ky and KHOU in Houston, TX. She is now out of the television business and has joined Hill and Knowlton(in 1998) where she is a senior vice president and director of the corporate communications practice there. 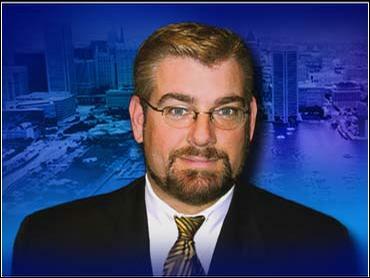 Mike Schuh is now a reporter at WJZ in Baltimore, Maryland. He has won 6 Emmy Awards and a regional Edward R. Murrow award. He is married has a daughter. Pam Land, former weather anchor at KFVS, is now doing weather at WLNS in Michigan where she is the morning and noon weather-anchor. Back in the 80's WCEE tv in Mt. Vernon had an evening newscast. Joe Lauria served as the meteorologist. 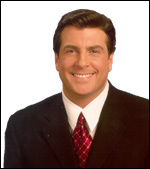 Mr. Lauria now is the weekend news meteorologist at station WDAF tv in Kansas City, Mo. Tatum Wan, Former reporter from WSIL TV was at WZZM tv in Grand Rapids, Michigan where she served as the Faith and Diversity reporter, now does freelance work in Los Angeles, CA at KCAL TV. 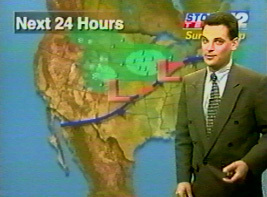 Brett Anthony, a meteoroligist who was at KFVS in the late 1990's, is now at KSHB TV in Kansas City, Missouri. He is married and has two cats. Sarah Zapp, former health reporter and anchor at KFVS is now at KARK in Little Rock, Arkansas and was the anchor of News 4 Arkansas Today, the morning news show there, but has left to make a move to Boston, MA. A special thank you to all those who have provided me with information and corrections!! Dave Courvoisier has been one of the main anchors at KFVS for many years, first in the late late 1970's early 80's..then again for the last few years. He has left KFVS to go back to the Las Vegas Market where he anchors the 5 PM and 11 Pm newscast on KLAS channel 8. Former WSIL news anchor Amy Van Patten is now married and goes by Amy Ofenbeck. She is no longer in the business and now works public relations for Goodwill of Southwest Florida. Goodwill is an employment service for the disabled which also helps with housing and transportation. Amy was recently honored with the Mayor's Alliance Award from the Mayor of Fort Myers..the award honors people with disabilites who work and their workplaces. Amy's story is remarkable and you can click on her picture to read more about Amy's story! Dan Odle, fomerly the politcal reporter and weekend news anchor at KFVS, left television news for a higher calling, to be a minister. Mr. Odle has put his television experience to work for him by producing religious programming as well. 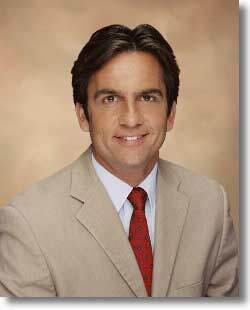 Ron Hearst, former weatherman at WSIL is now the chief meteorologist at KYTV in Springfield, MO where he's been since 1993. Marshall McPeek, formerly of WSIL is now the weekend morning meteorologist and co-anchor and reporter for Newschannel 4 WCMH in Columbus, Ohio. 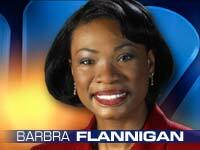 Barb Flannigan, formerly of WPSD is now at Newschannel 4 WCMH, in Columbus, Ohio. She is a part time reporter. Cindy Gutteridge, formerly of WSIL tv(and a Carbondale, Il native) was the the primary Crimewatch reporter and fill-in anchor at WAND tv in Decatur, Il and now is the media/marketing representative at the Decatur Park District..
Curtis Smith, formerly of WSIL TV, is now the chief meteorologist at WPTA tv in Ft. Wayne, Indiana. Mr. Smith is married with 3 sons. Chris Cannon former anchor and reporter at KFVS was the morning anchor at WTVW in Evansville, IN and now resides in Nashville, TN where he is a reporter at WTVF Channel 5. Chris Shaw, a native of St. Louis and former reporter at KFVS is now a reporter for FOX 19 WXIX in Cincinnati. Kim Keelor, former anchor at WPSD is now the spokesperson for TDOT(Tennesee Department of Transportation). She holds the position of Public Information officer. In addition to working at WPSD, Ms. Keelor worked at stations in Dallas, Tampa and Knoxville, TN as well as doing freelance work at WKRN in Nashville. Dave Crome, former sports anchor at WSIL TV(as well as WCIL radio) is alive and doing well as a sports anchor at KDAF tv 33 in Dallas/Fort Worth, Texas. 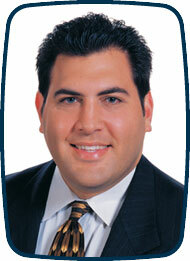 Mike Kirsch, formerly of WSIL is now an investigative reporter at CBS4 WFOR in Miami/Ft. Lauderdale Florida. Mr. Kirsch has had quite a career and has won many awards..click on his picture for his official bio on the CBS4 website. 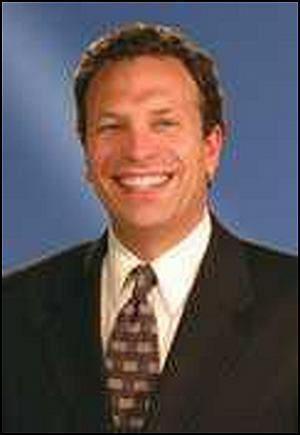 Thom Benson, former weather anchor at WSIL now is the morning weatherman at WRCB in Chattanooga, TN. Mike Trude, former sports anchor at KFVS(and WCIL radio) is now the director of marketing and promotions at Southern Illinois University in Carbondale, Illinois. Court Strong, former weatherman and reporter at WPSD is now at the University of Virginia's Department of Environmental Sciences as a Grad Student and is in the Atmospheric Science degree program. 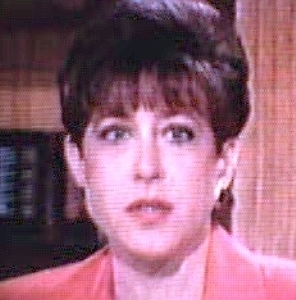 Deb Kaufman, formerly of WSIL, is now the "MSG Sportsdesk" co-host in New York...she also was a reporter at ESPN-2. I was hot on a lead on former WPSD morning news anchor Karl Parker, who was reportedly the news director/anchor at the New Jersey station WMGM, but he's no longer there....Mary Jane Dwyer(WSIL) sadly passed away on July 14, 2005. For more click here. Tracy Felty(WSIL) former weatherman on Channel 3 now works for the police force in Saline County. 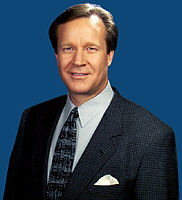 Dave Rowton(WPSD), former WPSD sports anchor is still there, but in the commercial department. You may have seen him on many commercials, but lately as "Dr. Bill"(a take off on Dr. Phil), Brad Darnall(WPSD) former photographer and reporter at WPSD is now in public relations for Calloway county schools in Kentucky. Lon Tay(WSIL), former weekend sportscaster moved on to WAND TV in Decatur, Il before leaving the television business to work with his father selling insurance. Lon is married to wife Jean and they have a son. Stephanie Summers(WPSD) has left the business is married with 3 children, two of which are twins. 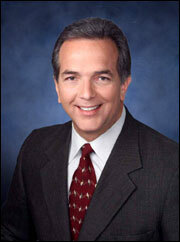 Bill Gladish(WSIL) was the News Director of WEHT in Evansville, IN, but has since left. 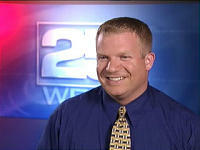 Grant Uitti(KFVS) is now the news director of WDJT TV in Milwaukee, WI. (thanks Richie Dale for the heads up!) 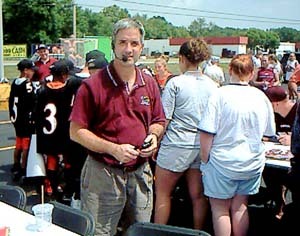 Caby Hepp(WCEE) is no longer on the tv airwaves, but he does commentary for sports events in the Southern Illinois area. Still looking for Mr. Parker... Laura Sabatino(WPSD), Mark Thomas(WPSD), Stephanie Summers(WPSD)...anybody know?....I'm stumped! ......a few more names...... Dana Wirth, Steve Patton? Is now at CNN in Atlanta as a National Assignment Editor. He has been there since 1996 and is married and has a son. Jackie Hays, former anchor at WPSD is now at WAVE TV in Louisville, Ky. where she has become one of the favorite newscasters. She has been named favorite news anchor by Louisville Magazine for the past seven years! 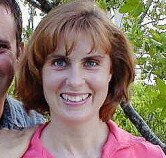 Jackie and husband Paul have two children. Scott Padgett, formerly of WPSD is now a weathercaster for NEWSCENTRAL, for Sinclair Broadcasting(Ironically he works with Jennifer Gladstone). He appears on various stations across the country. 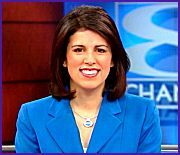 Emmy Award winning Susanna Baylon, formerly of WSIL and KFVS is now the anchor of Good Morning Northwest on KXLY in Spokane, Wa . Ms. Baylon is also an "amateur" musician who plays the violin in the Gonzaga Symphony Orchestra. Dan Harland, former sports reporter and fill-in sports anchor for WSIL TV, is now at WZZM 13, in Grand Rapids, Michigan where he is the 3rd man of their sports department. 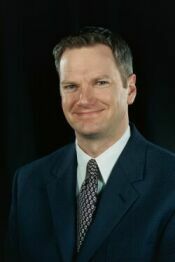 Brad Schultz, former anchor at WSIL, is now Professor Brad Schultz and teaches Journalism at the University of Mississippi. James Badger, formerly of WSIL, left the station for WANE TV in Ft. Wayne, Indiana. After that he held some public relations and marketing positions across the midwest. Currently, he is the director of Marketing at the First National Bank and Trust in Indiana. He now resides in Zionsville, Indiana with his wife and 5 children. 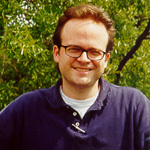 John Snell, formerly of WPSD as well as the news on WCIL FM in Carbondale, Il. is now an anchorman at WVUE in New Orleans. Weatherman at KFVS and part of the news departement at CIL FM radio, Gaidica is now doing weather at WDIV TV in Detroit, Michigan, where he's the Emmy Award winning Director of Meteorology. Mr. Gaidica also has had some national exposure doing weather on The Today Show! 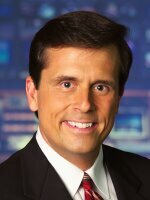 He's been voted the top weathercaster in Detroit year after year in the "Metro Times - Best of Detroit" edition. Heather is now a reporter as WLEX TV in Lexington, KY. As stated above she is married to Southern Illinois airwave veteran Chris Lupien. 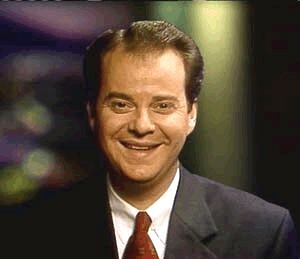 Roger Maier, formerly of WSIL left Channel 3 in 1988. 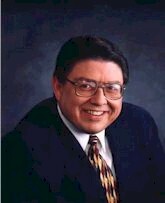 He ended up at KVIA-TV in El Paso, TX as a general assignments reporter until 1992. At that time he switched gears and joined the federal government as a public affairs specialist for the U.S. Customs Service in El Paso. In 2003 Customs was swallowed up by the creation of DHS. He is now a public affairs specialist for U.S. Customs and Border protection in El Paso. 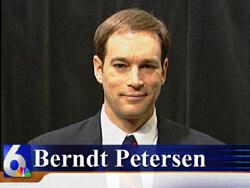 The former weekend anchor and reporter left WPSD in Feb. 2004. He is currently working as an independent advertising agent in Paducah, KY.
Hayslip, former anchor/reporter at WSIL TV is now at Newschannel 5 WTVF in Nashville, TN. He is married with 3 children. Formerly of WSIL, Kraus is now at WTVF in Nashville TN where she is an Anchor and investigative reporter. She is married with 4 children. 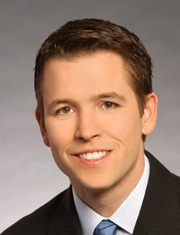 Formerly of WSIL and KFVS, Bierach now is on the airwaves at KVOA tv in Tuscon, Arizona as the weekend weather anchor. Karl is married and has a dog named George. Marty Bahamonde(WSIL) (spelled it Bamonde for tv)The former weekend sports anchor in the mid to late 1980's left WSIL TV to take a position as sports anchor in Port Arthur, TX. Marty then moved on to a tv station in Guam where he was sports director. In 1992 He left Guam and joined the Federal Emergency Management Agency(FEMA) in public affairs. Today he is the Regional Director of Public Affairs in Boston for the Department of Homeland Security/FEMA. 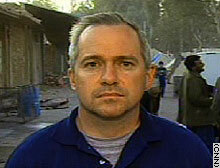 He travels extensively covering natural disasters domestically and internationally. Ron Beaton, a LEGEND at WPSD retired from the television airwaves after 30 years on May 28,2004. Mr. Beaton now uses all of his energy for his Money Matters Certified Financial Planning business(which grew out of his "Money Matters" segments on WPSD and WKYX radio. Dianne Becker, formerly of KFVS, has now turned to Christian broadcasting and has travelled the world making documentaries of volunteer and missionary work. She is a trustee of the Brackett Foundation. Randy Ray, long-time sports director and sports anchor at KFVS, went behind-the-scenes at the station as an Account Executive in the Sales Dept. Sotak, the KFVS sports director and anchor now has a new career as a local sales representative with Bayer pharmaceuticals. For more Southern Illinois TV Blasts from the Past click HERE! This photo was taken from an interview on CNN where Marty was in Bam, Iran responding to an earthquake that killed 45,000 people. He had not showered in 10 days because of the austere conditions. Victoria "Vickie " Babu was the weekend anchor at KFVS and now is seen and heard in St. Louis on Charter Cable Community Access television and on 97.1 Talk Radio where she hosts "House Calls".